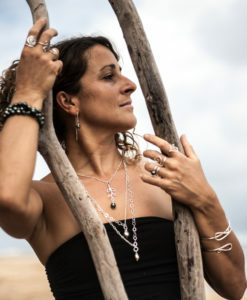 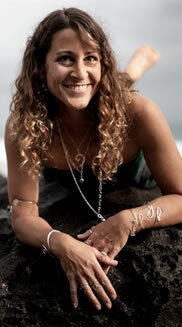 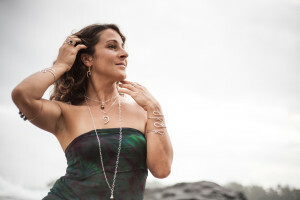 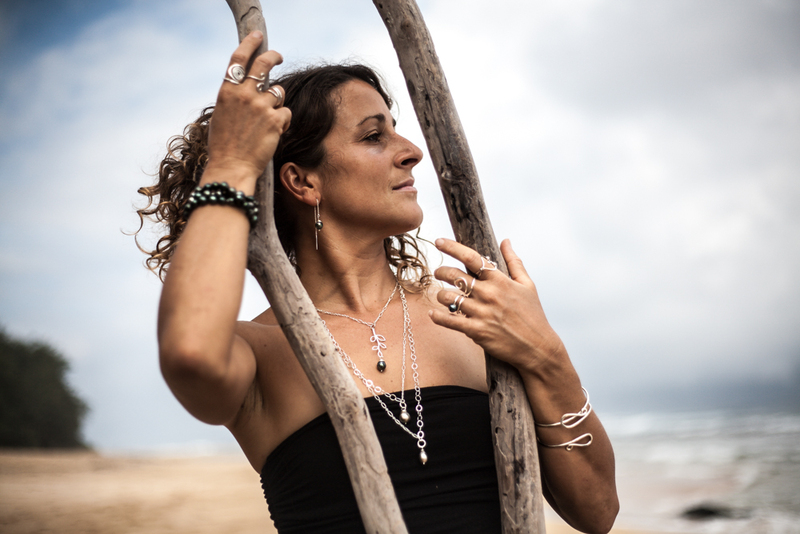 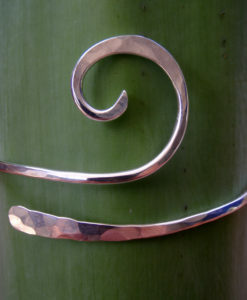 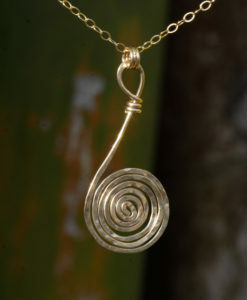 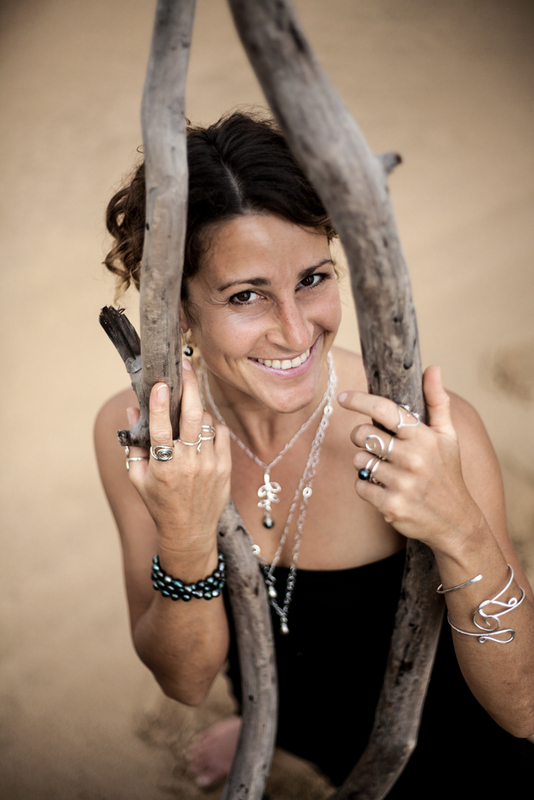 This “Waterfall” Necklace cascades itself on your neck as it loops around twice. 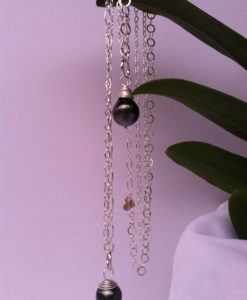 A super fun and versatile necklace! 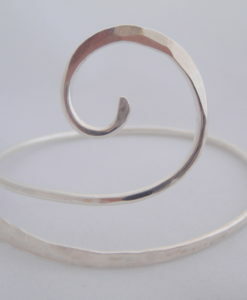 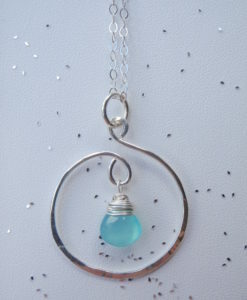 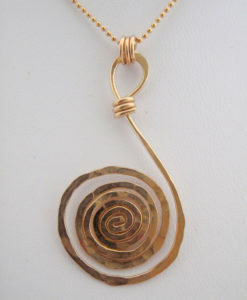 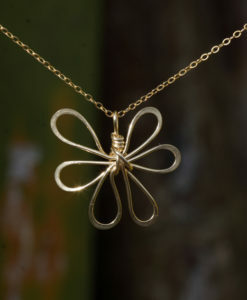 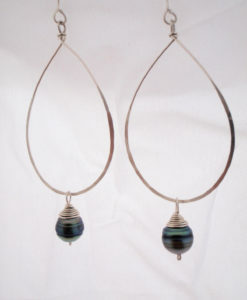 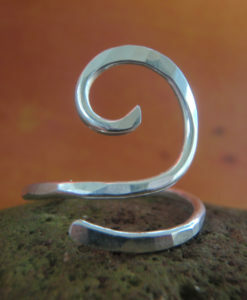 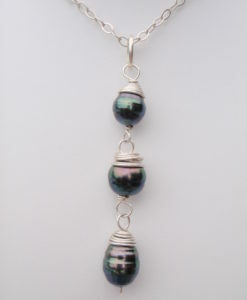 This piece is the artist’s favorite necklace! 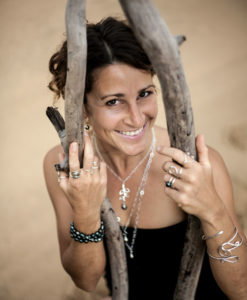 Two different style chains comprise this 54″ long necklace. 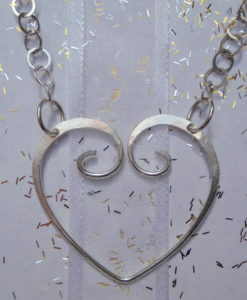 The larger chain lays opposite of the smaller one. 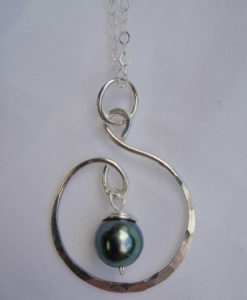 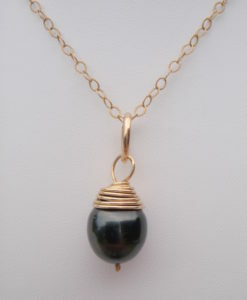 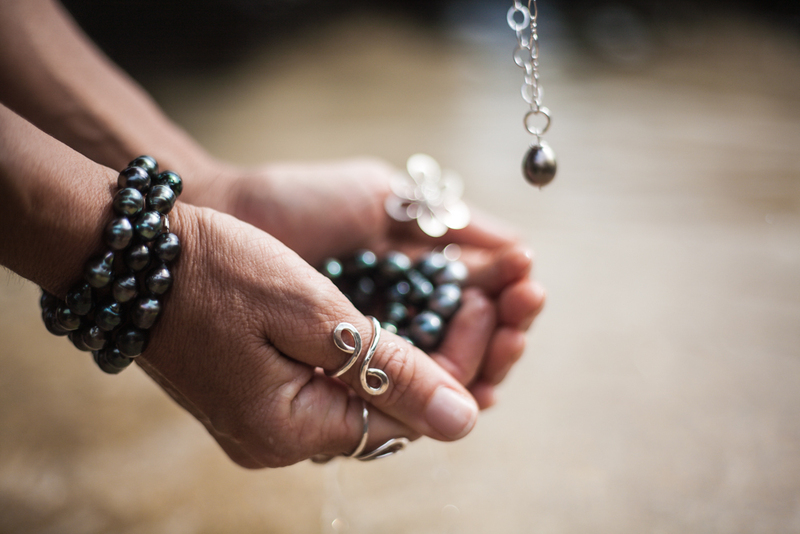 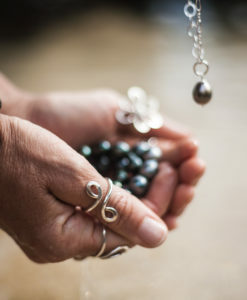 An 12mm and 11 mm Tahitian Pearl are the focal points of this spectacular and unique piece. 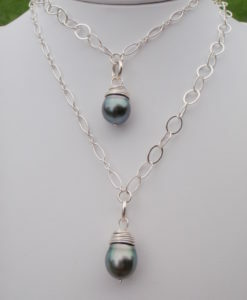 These pearls are super silvery in color. 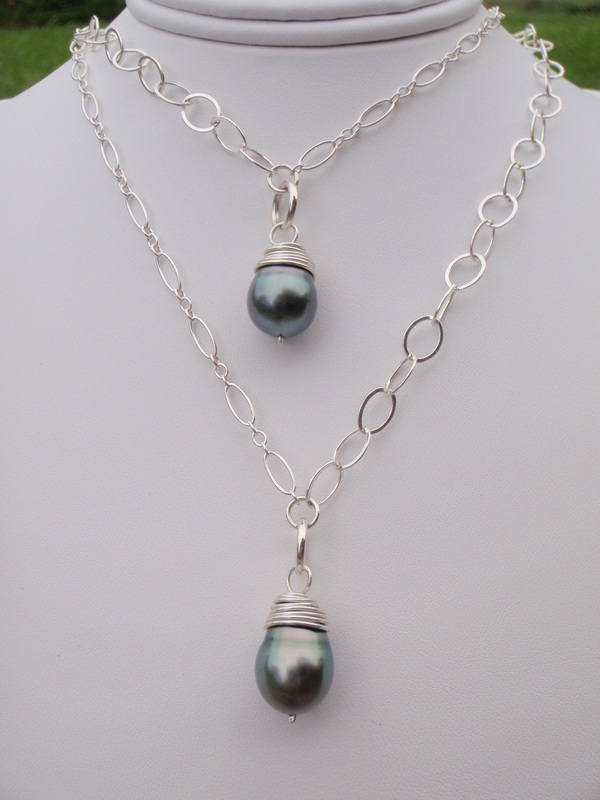 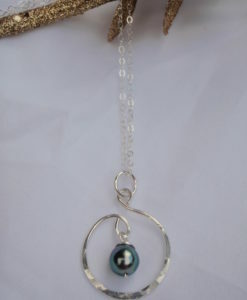 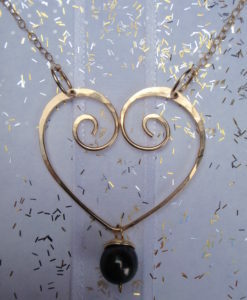 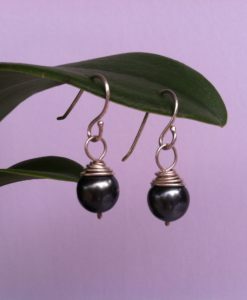 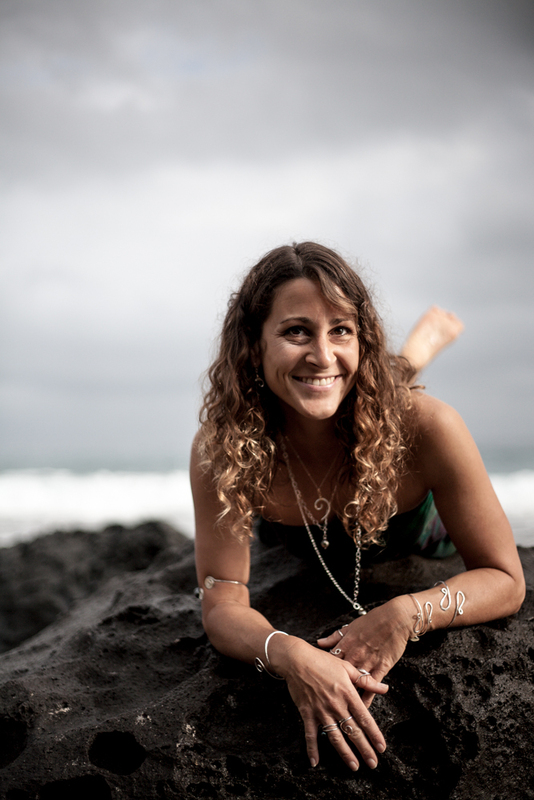 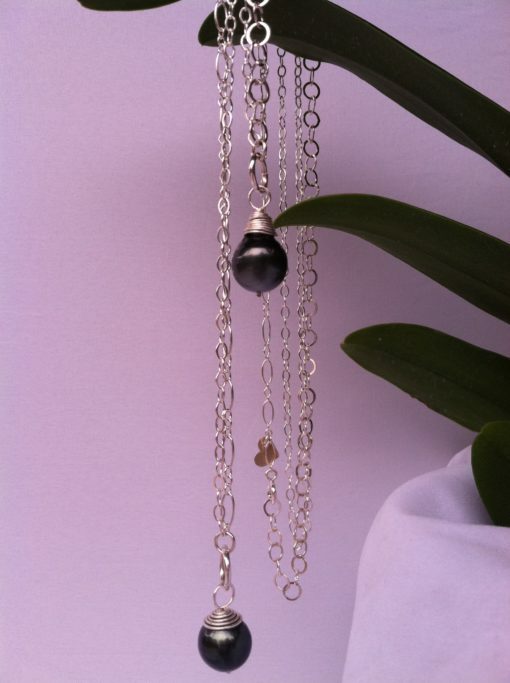 The 54″ Waterfall SIlver Tahitian Pearl Necklace makes an elegant Hawaii gift for yourself or any occasion such as Valentine’s Day, Christmas, Hanukkah, Wedding, Anniversary or Birthday.